Studies in Law, Paris. Lawyer and politician. 1952, Member of the Bar, Tunis. Began career with defence of Neo Destour activists. 1956, Adviser to Prime Minister Habib Bourguiba. 1957-71, various positions, including: 1965-69, Minister of the Interior; Delegate Minister to the Prime Minister; November 1969 - June 1970, Defence Minister; Ambassador of Tunisia to France. October 1971 - January 1972, advocated for greater democracy in Tunisia and resigned his function, then returned to Tunis. April 1981 - September 1986, Minister of Foreign Affairs. 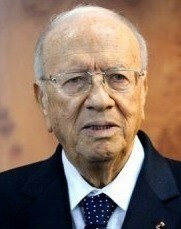 February 2011 - December 2011, Prime Minister of Tunisia.